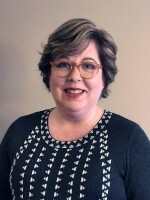 Christian Record Services for the Blind, a ministry of the Seventh-day Adventist Church to people who are blind, welcomes Patricia J. Maxwell Robertson as communication director. Maxwell Robertson comes to Christian Record with a strong background in communication, mass media, marketing, and team development. Before joining Christian Record’s staff, Patricia was an assistant professor of communications at Union College in Lincoln, Nebraska. She has also worked as director of marketing and communication technology at Catalina Island Conservancy in Long Beach, California, and director of media relations for the Natural History Museum of Los Angeles County in Los Angeles, California. "Helen Keller acknowledged the important work of this organization in a personal letter she wrote in 1911," Patricia said. "Fast forward a century-plus, and I'm honored to continue this tradition of service excellence and join the team at Christian Record." "We are excited for Patricia to join the Christian Record team. Her wealth of experience along with her positive spirit and dedication to excellence will be great blessings for the organization and its members and donors," affirmed Diane Thurber, Christian Record president. In ministry since 1899 and based in Lincoln since 1904, Christian Record provides free confidence-building reading services and summer and winter camp experiences for people who are blind. Approximately 20,000 people receive these services because of the generosity of individuals and business owners. To learn more, visit www.ChristianRecord.org or call 402-488-0981. Looking for older stories? Click here to go to the Newsroom Archive.